This weekend, going garage sale-ing, I garage saled down to my very last dime! It was literally true. By the end of the day I was borrowing from my friend Lizzie. Lizzie and I are a garage-sale team and every week one of us goes broke and ends up borrowing from the other. Last time she borrowed from me and this weekend I borrowed from her. One prize purchase was a set of 1970s curtains which I talked down from $3 to $1. I drive a hard bargain! I haggle like a Moroccan in the square. They are, or were, bathroom curtains. We know that because they came with a shower curtain in the same pattern, green and yellow and white. 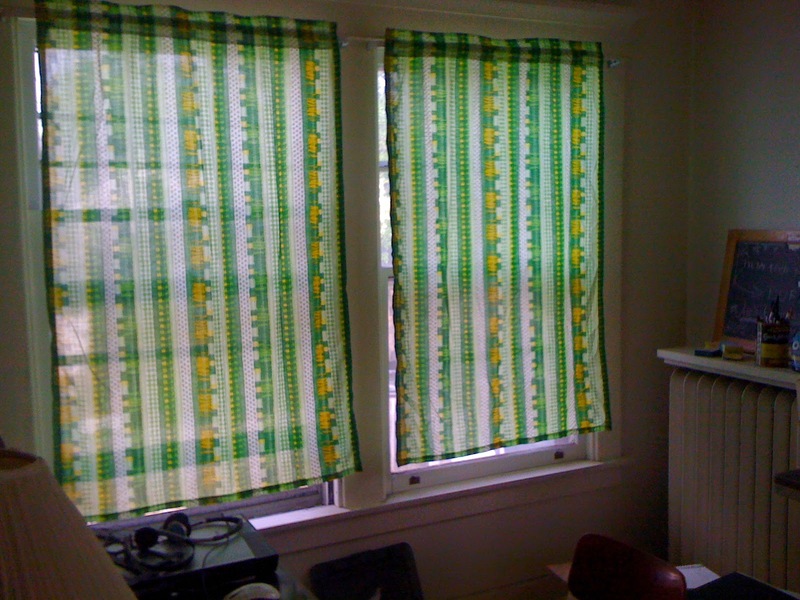 But now they are office curtains! There they are up above, in their glory, next to the Leonard Pennario desk. They will stop prying eyes from intruding on my work! I like hanging curtains like that, one panel a window, bohemian style. And the curtains feel like summer. They are very clean and they smell good and waft around in the breeze. I think I will use the shower curtain as a tablecloth. 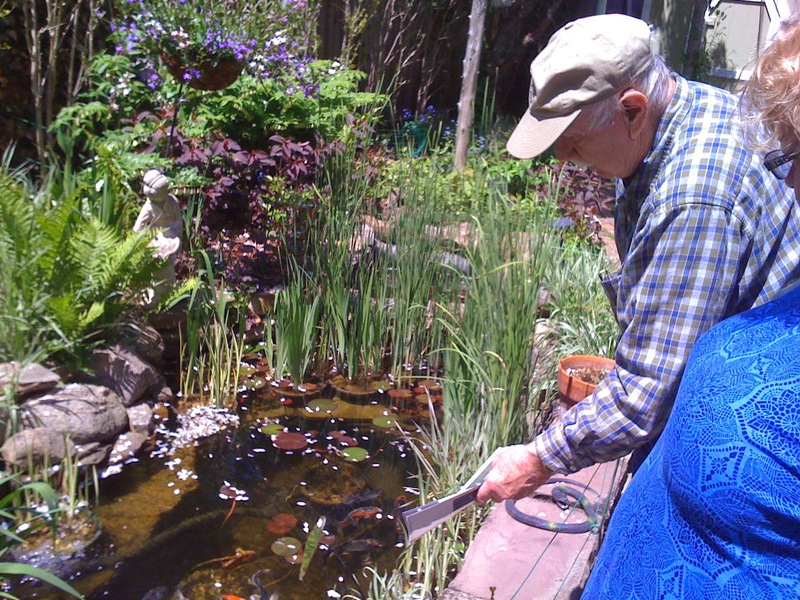 We also went to a Plant Sale and the proprietor took us into his backyard to show us his koi pond. 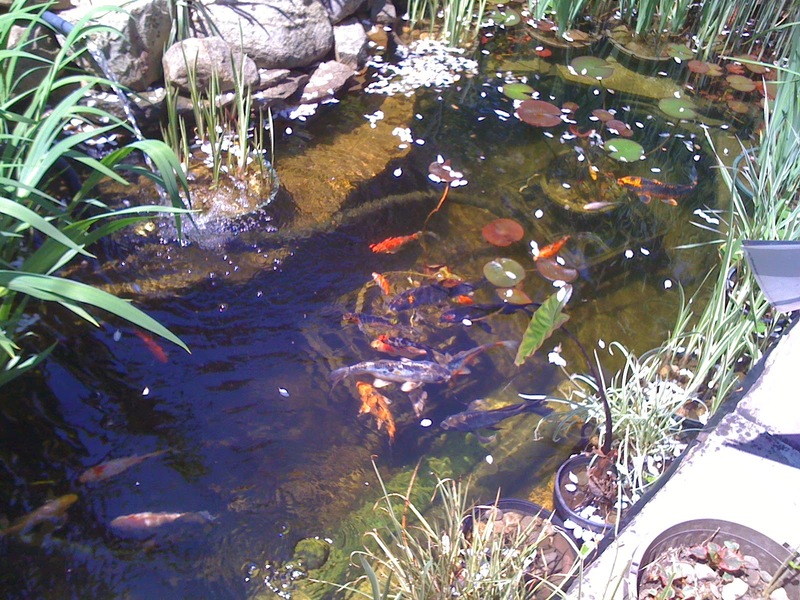 It is amazing, this koi pond in this little Kenmore back yard! Here is a closeup. Such a wonderful day of going through people's stuff and admiring things and just going where the day leads you. All these shades of green and yellow. 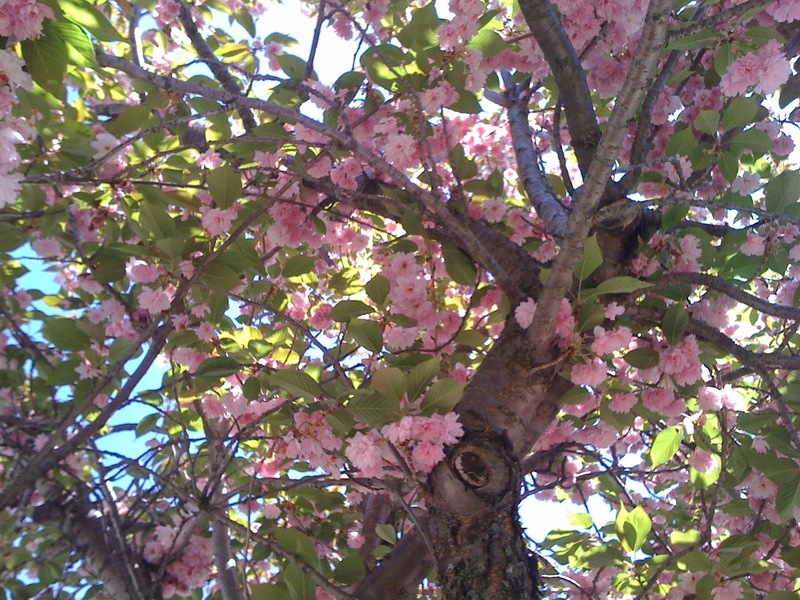 And the blossoms were out. 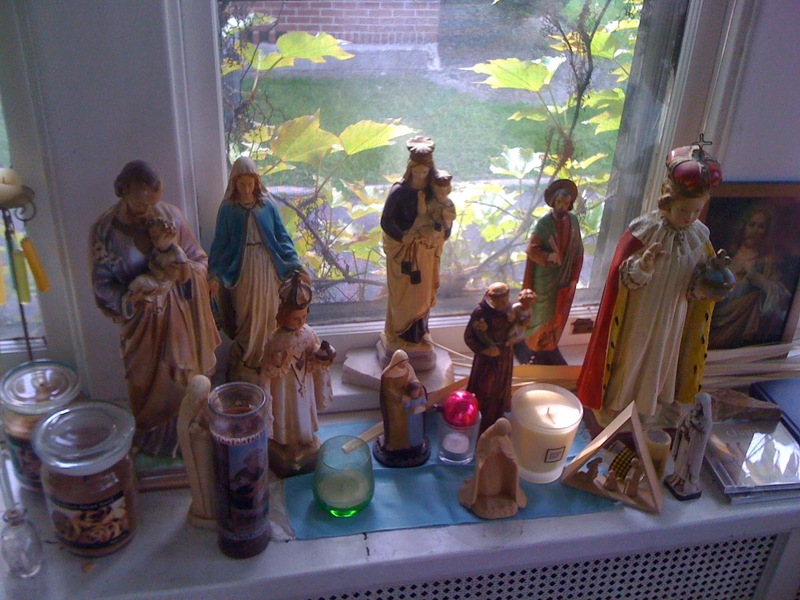 Here are my saints in the morning sunlight. It is spring at last!